Though sources do not agree on the birth and death dates of Daniel Boone, I have used what appear to be the most likely. www.bocomo.org/dboone.htm is a good source of information. DIED: On the 26th of. (Sep) at Charette Village (which was on Femme Osage Creek, in St. Charles County, Mo. ), in the ninetieth year of his age, the celebrated Col. DANIEL BOONE, discoverer and first settler of the State of Kentucky..... (He died at the residence of his son, Maj. Nathan Boone, which was an old-style two-story house, the first of the kind erected west of the Missouri River, and it is yet standing. A good wood cut of it can be found in "Switzler's History of Missouri", page 180. His father, Squire Boone, came from England, and took up his residence in a frontier settlement in Pennsylvania, where Daniel received the merest rudiments of education, but became thoroughly familiar with the arts and hardships of pioneer life. When he was 18 years old the family moved to the banks of the river Yadkin, in North Carolina, where he married Rebecca Bryan, and passed some years as a farmer. He made several hunting excursions into the wilderness, and finally, in 1769, set out with five others to explore the border region of Kentucky. They halted on Red river, a branch of the Kentucky, where they hunted for several months. In December, 1769, Boone and a companion named Stewart were captured by the Indians, but escaped, and Boone was soon after joined by his brother. They were captured again, and Stewart was killed; but Boone escaped, and his brother going shortly after to North Carolina, he was left alone for several weeks in the wilderness, with only his rifle for means of support. He was rejoined by his brother, and they continued their explorations till March, 1771, when they returned home with the spoils which they had collected. 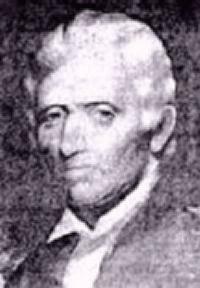 In 1773 he sold his farm and set out with his family and two brothers, and five other families, to make his home in Kentucky. They were intercepted by Indians and forced to retreat to Clinch river, near the border of Virginia, where they remained for some time, Boone in the meanwhile conducting a party of surveyors into Kentucky for Patrick Henry, the Governor of Virginia. He was afterward appointed, with the commission of a captain, to command three garrisons on the Ohio, to keep back the hostile Indians, and in 1775 was employed to lay out lands in Kentucky for the Pennsylvania Company. He erected a stockade fort on the Kentucky river, which he called Boonsborough, which is now in Madison county, and removed his family to the new settlement, where he was again employed in command of a force to repel the Indians. In 1778 he went to Blue Licks to obtain salt for the settlement, and was captured and taken to Detroit. His knowledge of the Indian character enabled him to gain favor with his captors, and he was adopted into one of their families. Discovering a plan laid by the British for an Indian attack upon Boonsborough, he contrived to escape, and set out for the Kentucky settlement, which he reached in less than five days. His family, supposing that he was dead, had returned to North Carolina; but he at once put the garrison in order and successfully repelled the attack, which was soon made. He was court-martialed for surrendering his party at the Licks, and for endeavoring to make a treaty with the Indians before the attack on the fort; but, conducting his own defence, he was acquitted and promoted to the rank of major. In 1780 he brought his family back to Boonsborough, and continued to live there till 1792. At that time Kentucky was admitted into the Union as a State, and much litigation arose about the titles of settlers to their lands. Boone, losing all his possessions for want of a clear title, retired in 1795 in disgust into the wilderness of Missouri, settling on the Femme Osage Creek, in St. Charles County. This region was then under the dominion of Spain, and he was appointed commander of the Femme Osage district, and received a large tract of land for his services, which he also lost subsequently because he failed to make his title good. His claim to another tract of land was confirmed by Congress in 1812, in consideration of his eminent public services. The latter years of his life he spent in Missouri, with his son, Nathan Boone, near Marthasville, where he died September 26, 1820, aged eighty-six. The only original portrait of Boone in existence was painted by Mr. Chester Harding in 1820, and now hangs in the State-house at Frankfort, Kentucky. His remains were interred by the side of his wife's, who died March 18, 1813, near the village named, where they continued to repose until August, 1845, when they were removed for interment in the public cemetery at Frankfort. The consent of the surviving relations of the deceased having been obtained, a commission was appointed under whose superintendence the removal was effected; and the 13th of September, 1845, was fixed upon as the time when the ashes of the venerable dead would be committed with fitting ceremonies to the place of their final repose. It was a day which will be long remembered in the history of Franklin County, Kentucky. The deep feeling excited by the occasion was evinced by the assembling of an immense concourse of citizens from all parts of the State; and the ceremonies were most imposing and impressive. A procession extending more than a mile in length accompanied the coffin to the grave. The hearse, decorated with evergreens and flowers, and drawn by four white horses, was placed in its assigned position in the line, accompanied, as pall-bearers, by the following distinguished pioneers, viz. : Col. Richard M. Johnson, of Scott; Gen. James Taylor, of Campbell; Capt. James Ward, of Mason; Gen. Robert B. McAfee and Peter Jordan, of Mercer; Walter Bullock, Esq., of Fayette; Capt. Thomas Joyes, of Louisville; Mr. London Sneed, of Franklin; Col. John Johnson, of the State of Ohio; Maj. E.E. Williams, of Kenton, and Col. William Boone, of Shelby. The procession was accompanied by several military companies and the members of the Masonic Fraternity and the Independent Order of Odd Fellows, in rich regalia. Arrived at the grave, the company was brought together in a beautiful hollow near the grove, ascending from the centre on every side. Here the funeral services were performed. The hymn was given out by Rev. Mr. Godell, of the Baptist Church; prayer by Bishop Soule, of the Methodist Episcopal Church; oration by the Hon. John J. Crittenden; closing prayer by the Rev. J.J. Bullock, of the Presbyterian Church, and benediction of the Eld. P.S. Fall, of the Christian Church. The coffins were then lowered into the graves. The spot where the graves are situated is as beautiful as nature and art combined can make it. It is designed to erect a monument on the place.